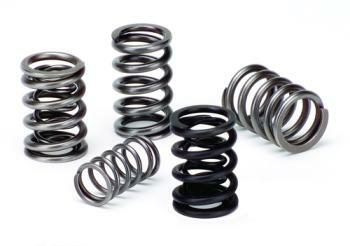 Supertech Valve Springs - Lightning Motorsports - Selling Speed since 1996 ! Supertech Valve Springs are made with premium Superclean Chrome Silicon Vanadium Steel Alloy for higher performance and durability at high RPM ranges. The Supertech materials also provide for better memory, which translates into higher performance. Computer designed to ensure that wire stress levels do not overpass their limits, Supertech Valve Springs are manufactured for long term durability even under the most extreme conditions.